I decided to upgrade my bread plate and drink cup circuit from the the beginning of the semester. 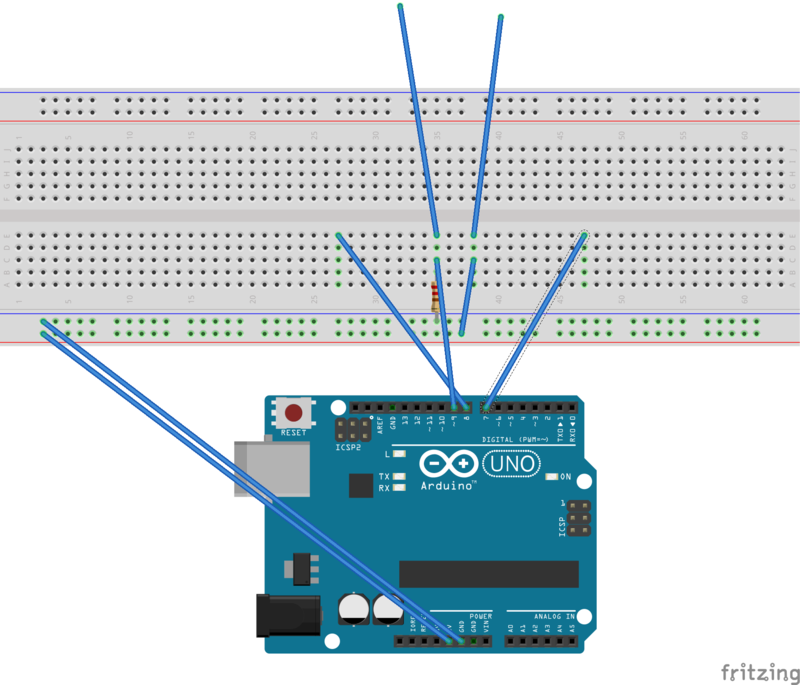 Now instead of red and green LEDs, Processing provides a red or green window instead. I wanted to add sounds as well but Minim was being… difficult. You’ll find my codes and my circuit below. Wireless communication is pretty rad. At the end of the day though, it’s all about radios that act as modems. A modem is a device that takes digital information (like serial communication) modulates these signals for transmission, the demodulates them on the other end to feats on the gooey insides of the signal. We have a number of options for wireless communication, we’ll start easy, and move our down the ladder of difficulty. Xbee : slightly more complex. Modems need to be configured to communicate with each other. I was having serious issues with hooking the fsr up to processing. This was meant to be a “are you ready? !” kind of sensor. So, that the moment the user holds/presses the sensor the game begins (just because physical sensors are more fun than regular keys). But, I sort of failed because the game was just laggy without fsr reading but flowed nicely with fsr reading. When I switched into the Interactive Media Arts major last semester, I did so mainly out of a desire to challenge myself to do something that I was scared to do. I made the change because of the rather limited majors offered at NYU Shanghai, IMA aligned most closely with my personal interests and career goals. I had essentially no experience in IMA, but felt confident that with hard work and perseverance, etc., etc., I could do whatever I put my mind to. However, as I became better acquainted with the program, I realized that it was vastly different from what I had expected. To the naive or perhaps simply un-informed me, Interactive Media Arts meant collaboration (interaction), working with different mediums (media), and doing so creatively (art). To the me who was struggling to construct simply circuits while my classmates made dolls that laughed when you tickled them and fabric flowers that “bloomed”, IMA was reduced to one thing: computers. Since then I have really come to appreciate the incorporation of technology in art, but I wouldn’t really say that I’m a computational media convert. That isn’t to say that I’m against it by any means, but rather that I don’t see the need to distinguish it in such painstaking terms from “traditional” media. Reading Manovich’s essay, I can really appreciate his work from an theoretical and anthropological (maybe not the right word– media-logical?) standpoint, but I don’t know how useful it is in practice. I think that one of the beautiful things about media is its malleability and the ways in which people adapt it to suit their needs. Rather than people conforming to the limitations of media, I think the media is generally adapted to the needs of people and as such, I think that the best approach to it is open-ended. Computational media is, I believe, essential to the modern lifestyle and integral in our society. From mass media to contemporary art to architecture, computational media allows us to innovate existing disciplines and markets and to expand into ones that didn’t previously exist. In light of this sort of integration of computational media with other disciplines, I don’t think it makes sense to study or practice computational media in a vacuum or to even try to give it a strict definition. It seems clear to me that computational media will continue to adapt and re-invent itself, perhaps until it becomes a new field entirely. To me, rather than distinct camps of “old” and “new” media, computational media falls more into an evolutionary spectrum of media; it is at once its own “species” (so to speak) as well as an intermediate form bridging the media of yesteryear and the media of tomorrow. 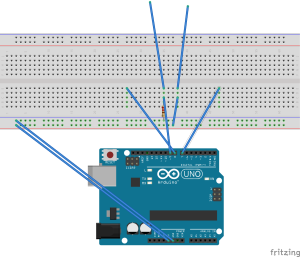 For this assignment I tried to make my Arduino communicate with processing to create a panic button. My idea was that when the FSR was pressed, the program running in processing would change from displaying “Keep Calm and Carry On” to displaying “PANIC”, but I ran into some issues (namely the screen flashes frenetically between the two messages until the FSR is pressed, at which point it reads, “PANIC”). my apologies in advances for the slight tirade-ish tone.